© 2019 Mercedes-Benz Canada Inc. *0.9% financing only available through Mercedes-Benz Financial Services on approved credit for a limited time. Available for 60 month finance on model year 2016 C 300 Sedan and 2016-2017 GLC 300 Mercedes-Benz Certified Pre-Owned models, excluding AMG (less than 140,000 km). Down payment may be required. Vehicle license, insurance, registration and sales taxes are extra. Dealer may lease or finance for less. Offer may change without notice and cannot be combined with any other offers. See your authorized Mercedes-Benz dealer for details or call the Mercedes-Benz Customer Relations Centre at 1-800-387-0100. Offer ends April 30, 2019. 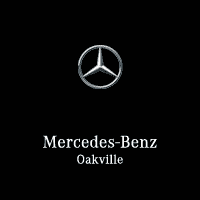 I consent to receiving electronic messages regarding new offers, exclusive invitations, promotions and other information concerning Mercedes-Benz products and services from Mercedes-Benz Oakville, 300 S. Service Road W, Oakville, Ontario L6J 5A2, info@mercedes-benz-oakville.ca. You may unsubscribe at any time.